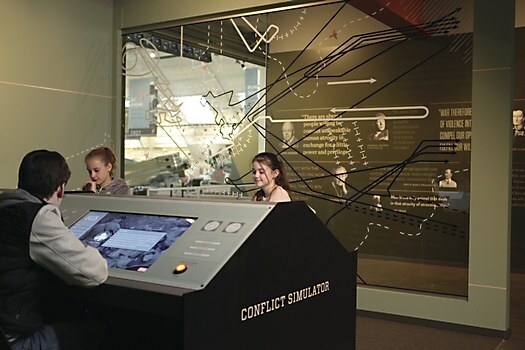 Belle & Wissell bucks the traditions of the typical “war exhibit” to explore the varied, complex causes of war. 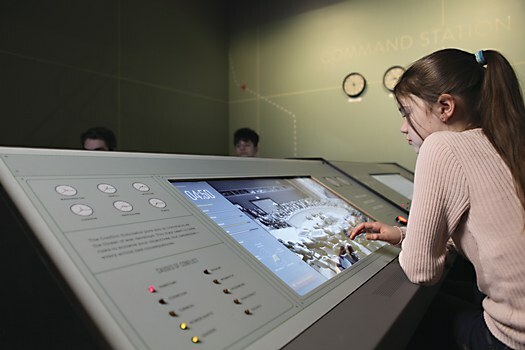 To explore war and what actually causes it, the Flying Heritage & Combat Armor Museum, based in Paine Field-Lake Stickney, Washington, challenged Belle & Wissell to help it create a thought-provoking exhibit, but one that specifically departed from the traditional “war exhibit” to deliver content primarily through engaging digital interactives. 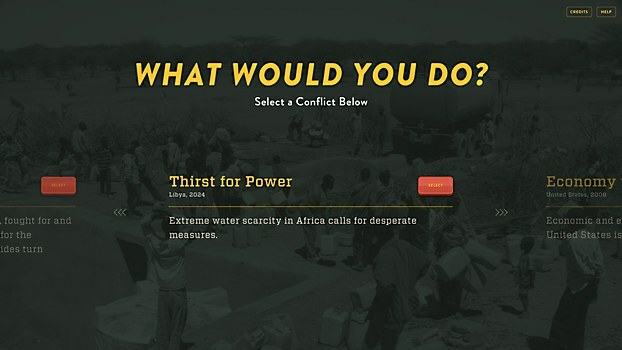 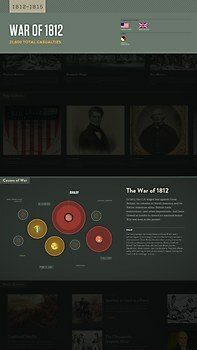 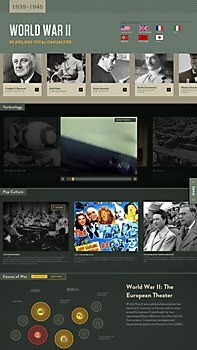 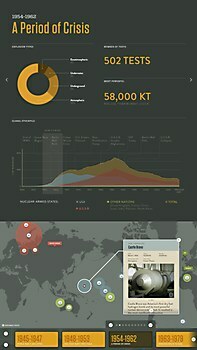 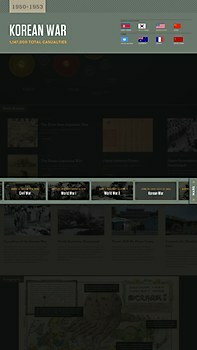 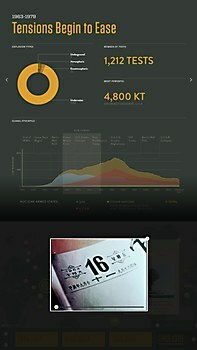 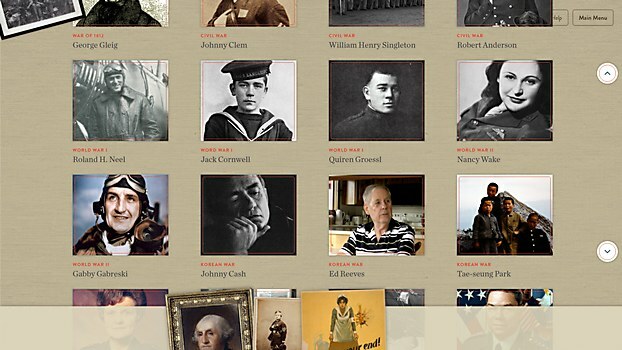 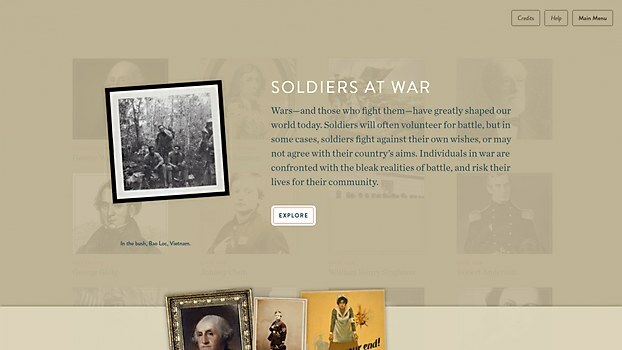 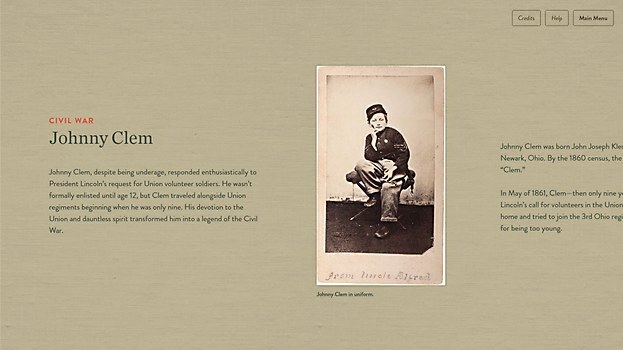 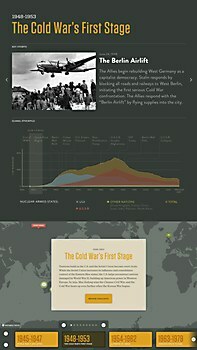 Together, the museum and the Seattle, Washington–based design agency began establishing content and presentation goals for Why War: The Causes of Conflict. 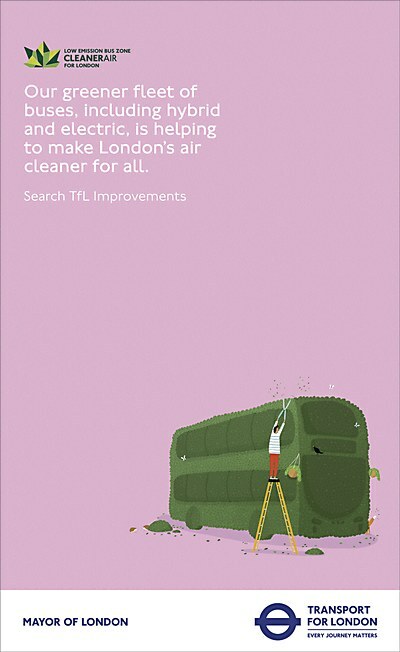 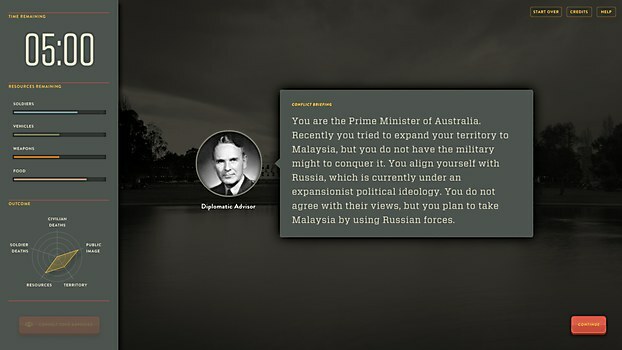 Their aspiration? 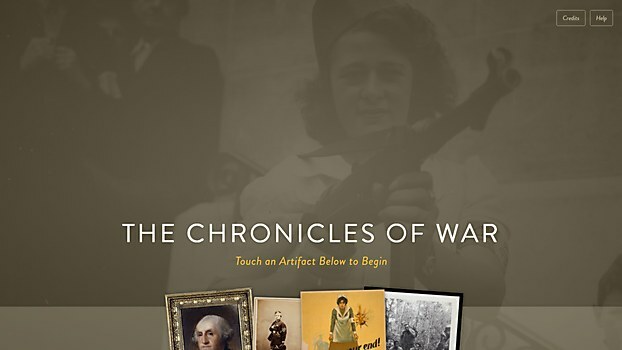 To share an unbiased perspective of American conflict—and the shifting nature of war—using contemporary political and historical interpretations. Leading the content research, writing, and exhibit and graphic design, Belle & Wissell developed five robust digital experiences for Why War. 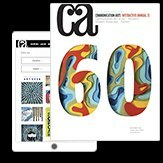 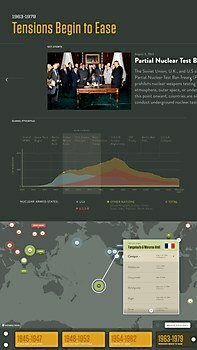 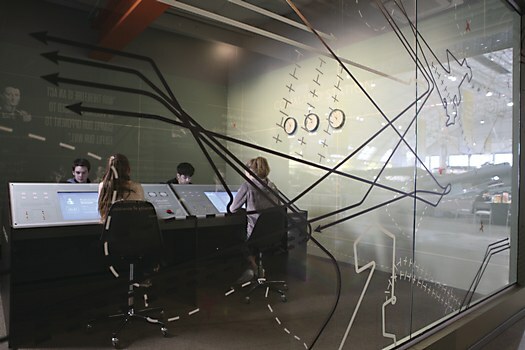 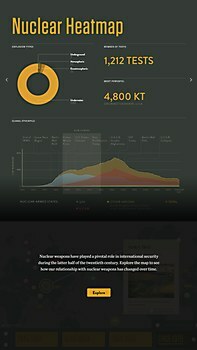 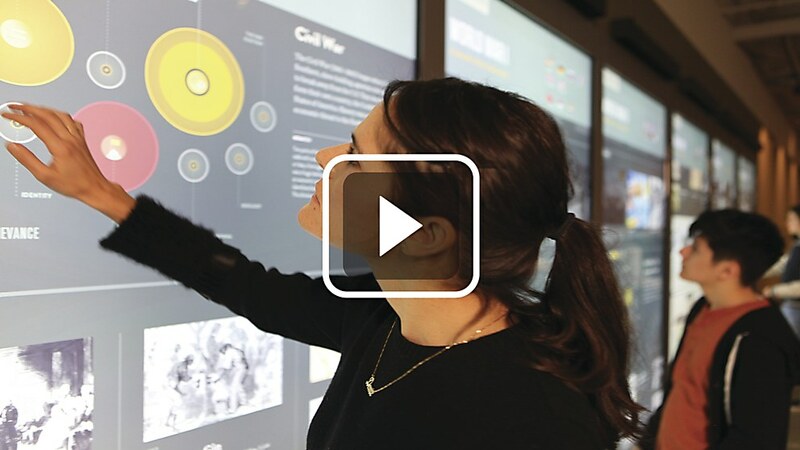 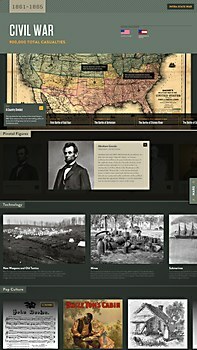 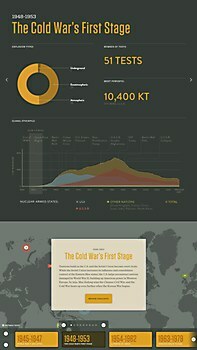 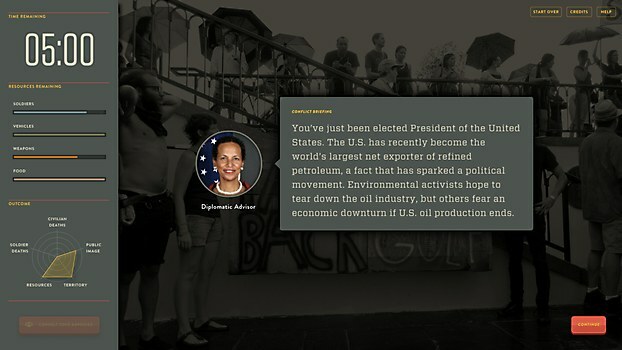 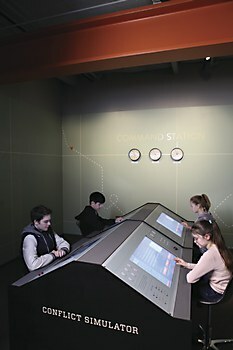 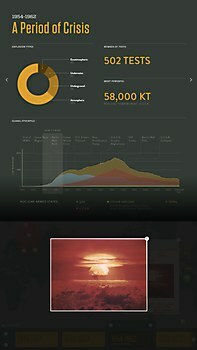 The interactives—named Interactive History Timeline of American Wars, Conflict Simulator, Nuclear Heatmap and The Chronicles of War—were conceptualized early on, well before expanding the content for the larger exhibit. 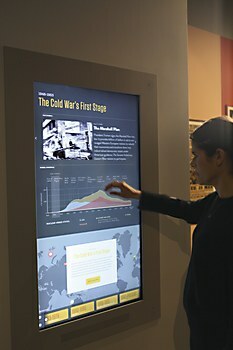 This helped to focus the core messaging throughout the exhibit space, which immediately introduces visitors to the causes of war and their corresponding iconography. 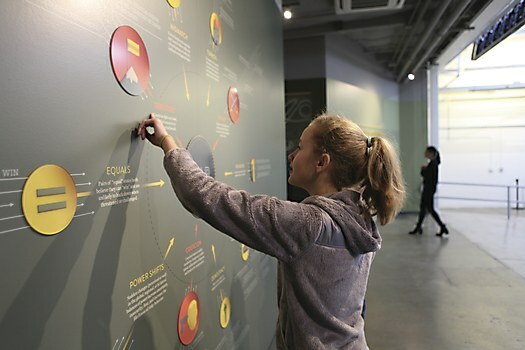 Walking onwards, visitors discover more interactives that reappear through the exhibit to reinforce the importance of these causes. 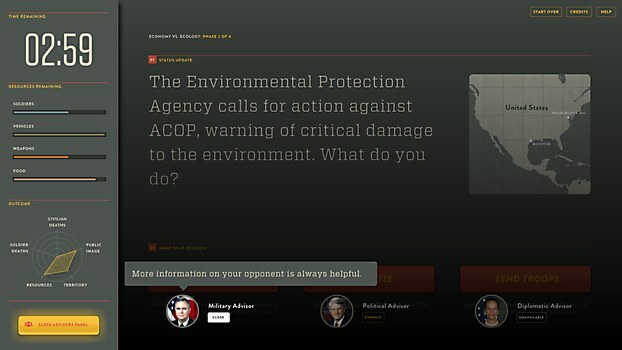 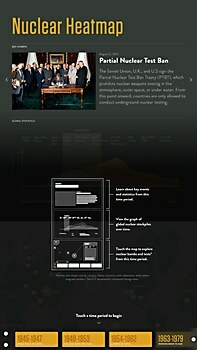 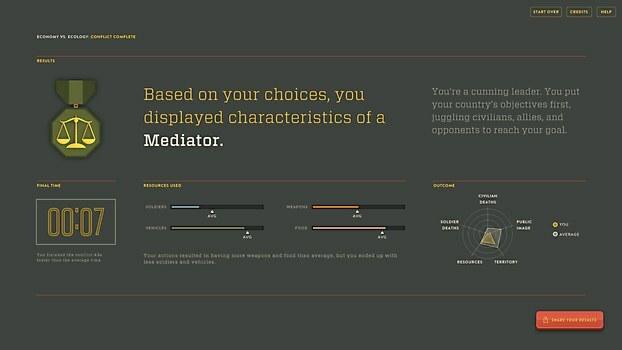 In the Conflict Simulator, for example, causes are applied to both factual and fictional scenarios to illustrate their unpredictable interplay. 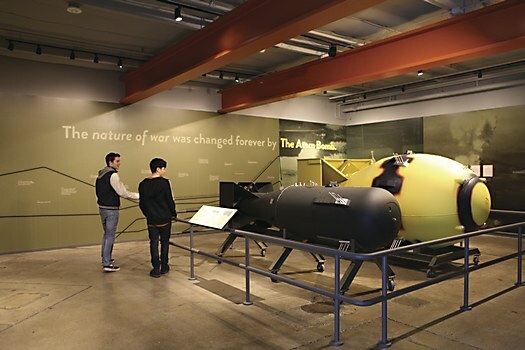 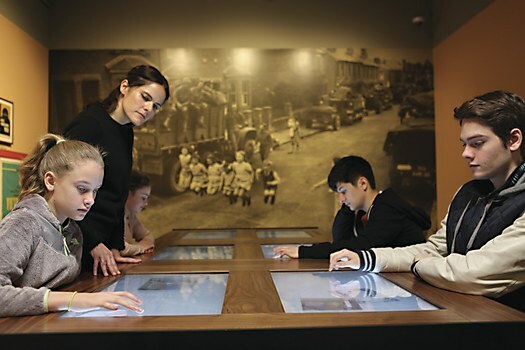 Whether school groups, families or older tourists, those who visit Why War will walk away better understanding that although cultural and technological changes have diminished the frequency and deadliness of war, the same risks remain today.